Diving in Taganga is Divanga!! Taganga is one of the best spots for your diving course recommended by Lonely Planet. 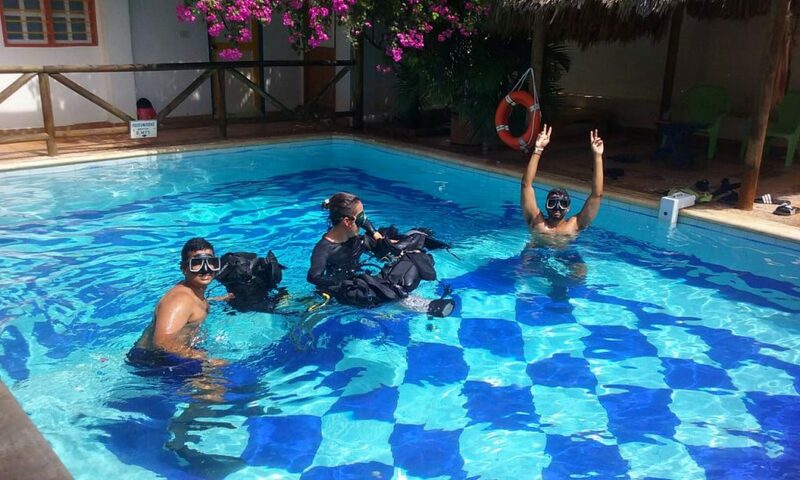 Divanga offers a great pool for training, with our recommended diving center Reef Shepherd! Enjoy the landscape with mountains surrounding the bay of Taganga; Dumbira Natural park and Tayrona park, amazing fauna and flora submarine life. Divanga hostel, bar, and restaurant will be your safe haven during your diving trip.